We've heard before that one of Apple's 2018 iPhone 9 models might have a 6.1-inch LCD screen, but now we're learning more about it, including the possibility that it won't have 3D Touch. It would make it the first Apple handset since the iPhone SE to lack the feature. This is according to famed analyst Ming-Chi Kuo in a research note obtained by MacRumors, and Kuo added that this 6.1-inch iPhone 9 will have an aluminum frame, an LCD display and a single-lens rear camera. The internals will also apparently be more similar to the iPhone 8 than the iPhone X, with a standard rectangular battery rather than an L-shaped one, and a standard non-stacked logic board. This is all in contrast to the rumored 6.5-inch and 5.8-inch models, which are rumored to have OLED screens, dual-lens cameras, stainless steel frames and L-shaped batteries, as well as 4GB of RAM – while the 6.1-inch model will supposedly have just 3GB. However, these compromises should mean a lower price for the 6.1-inch model, with Kuo estimating that it will retail for $700-$800 (around £500-£570, AU$870-AU$990). And it may still have a bezel-free screen if the image above it to be believed. 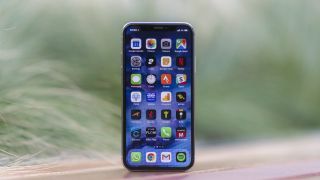 As such, it's likely that the 6.1-inch phone will be a more mid-range offering, possibly called the iPhone 9, while the other two models could be successors to the iPhone X, perhaps called the iPhone XI. Of course, this far out we wouldn't count on the accuracy of any rumors, but Kuo has been right before.